#898 obviously isn’t a coupe, but it’s still Speedy. 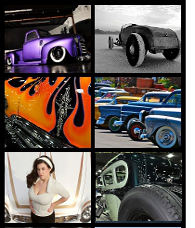 And most importantly, it’s a Studebaker! 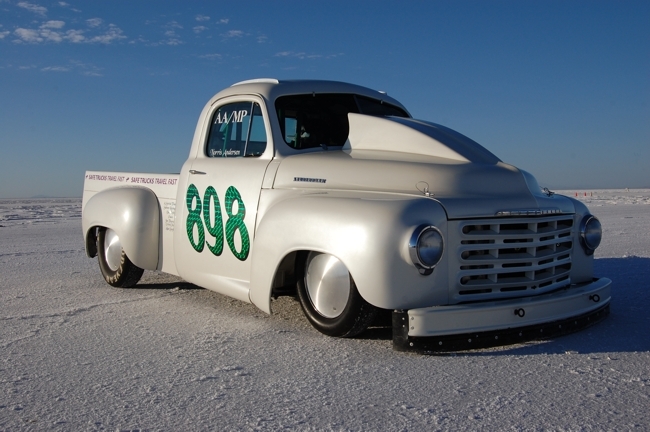 This 1949 Studebaker farm truck out of Kansas took the second of the two records for this years Speed Week. And break a record did it ever! 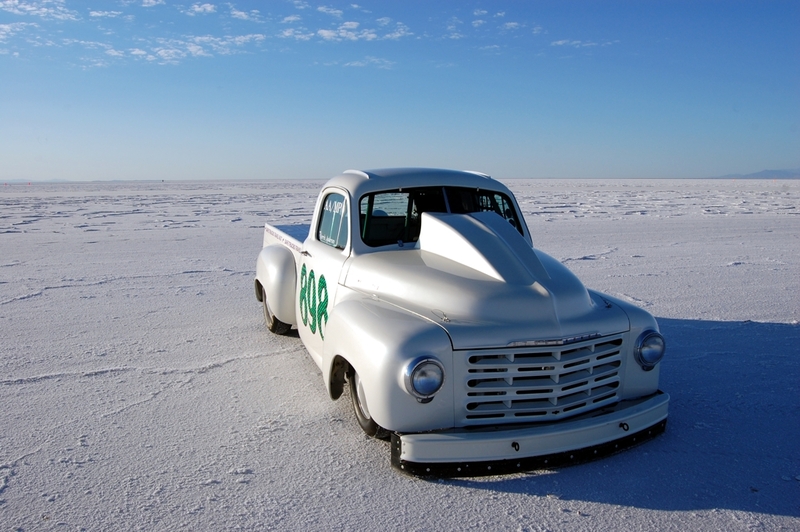 With Chevy power under the hood in it’s AA/MP class, the old record was blown away by nearly 18 miles per hour! Norris Anderson definitely knows how to build one, as he powered this truck down the line at 219.331mph! 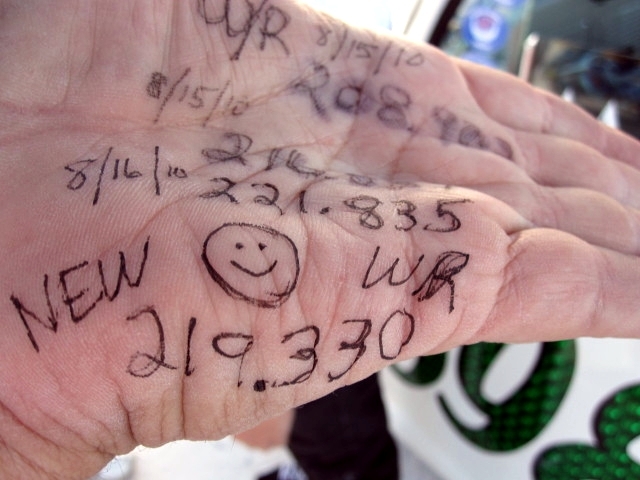 And you know what that means, its a record-breaking run over 200mph… so Norris Anderson gets his well-deserved Bonneville 200mph Club admission. He’ll be a happy man wearing that red hat. 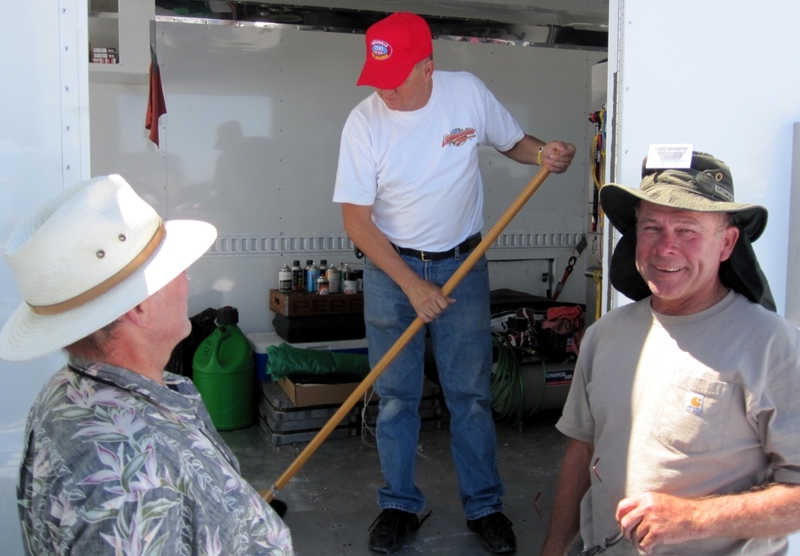 In fact… he was already wearing it, even as he did broom duty around the pits! The truck of my dreams. Too bad I can’t get one up the mountain! I am a personal friend of Norris (Andy) Anderson from our mutual USAF experience when we kept SR-71s flying (1966 to 1970). Norris bought a `68 Camero Z-28 brand new back then (while we were in the Air Force in California) and over the years has used it to break the NHRA F Stock record. Norris was a fantastic driver and a great friend. Its good to see he can still “bring it”. I am sorry to report that he lost his best “crew member” recently, his wonderful wife Lois, who I had the great pleasure of knowing too. I have one of these trucks I inherited from my dad and I absolutely love it.